Millions of people throughout Asia consume Goji berries every day for both their unique, satisfying flavor, and for their health benefits. In China’s first herbal encyclopedia, Shen Nong’s Materia Medica, written in the 1st century B.C., Goji was classified as a “superior tonic,” a class of herbs that people should take on an on-going basis to preserve youth and to promote general well being of life. Goji’s superior tonic classification has stood the test of time. Two thousand years later, Goji berries are still being consumed regularly throughout Asian civilizations for those purported reasons. We now know that Goji berries are a “high-ORAC” antioxidant-rich superfruit featuring important phytochemicals such a beta-carotene, zeaxanthin, betaine, polysaccharides (LBPs), trace minerals and vitamins. 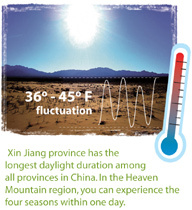 The virgin land of the Gobi Desert has little vegetation. 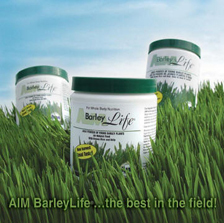 It has a very high content of alkaline minerals. The pH level of the soil can be as high as 8.7 (17 times more alkaline than neutral) and the soil salt content can reach 1%. Few plants can survive in this kind of harsh environment. Goji, however, being an extremely adaptable plant, thrives here. 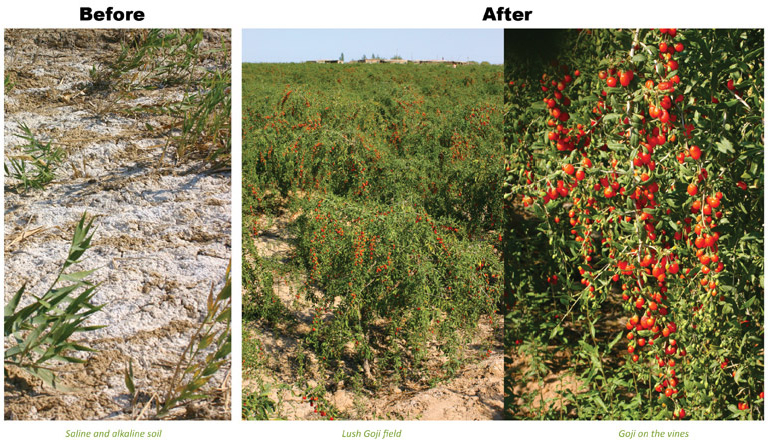 Heaven Mountain® Goji Berries, a GREEN Hero In Reversing Desertification. 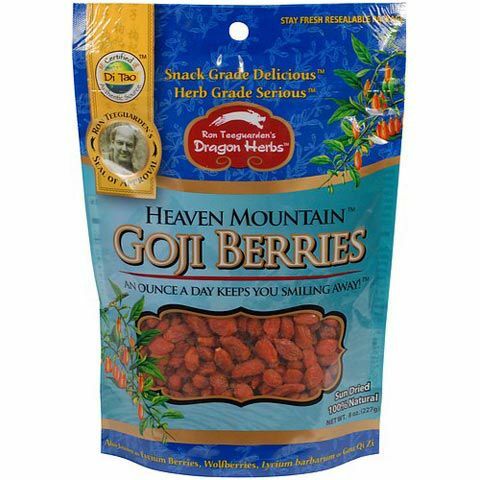 Not only are the Heaven Mountain® Goji Berries good for you, they are good for the earth as well. Because of Gojis’ superb adaptability, they thrive where other plants fail to survive. The Goji plants are drought tolerant, cold resistant, and they can endure, and even thrive in, saline and alkaline soil. Goji plants have highly developed root branches which bind firmly with the soil. Many Goji trees are being planted in northern and western China as a wind breaker, sand binder and soil ameliorator as part of a program to reverse desertification. Himalayan Goji, a Myth Still To Be Demystified. Whether or not Goji originated from the Himalayas is still being heatedly debated, the Gojis that do come to the West all share one country of origin, China. 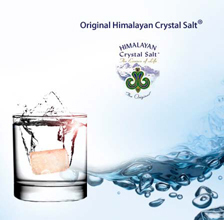 Many of them labeled as Himalayan, some labeled as Tibetan Wild Crafted. With Tibet being the only Himalayan region of China, it can be reasonably presumed that all the Himalayan/Tibetan Gojis come from Tibet. So, does Tibet historically or currently or actually grow Goji? Well, we have found no evidence of that, not as of yet. Of the many materia medica that provide detailed description of Lycium barbarum (Goji), none ever mentioned Tibet as a geological origin of Goji, wild or cultivated. Ron Teeguarden, master herbalist and author of The Ancient Wisdom of the Chinese Tonic Herbs published by Warner Books, has been a purveyor of Lycium barbarum since 1971. Ron has visited Himalayas numerous times. 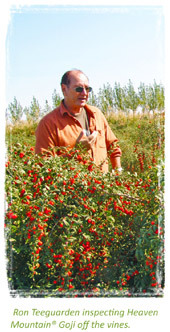 He has never known of Himalayan Goji in his 40 years of herbal career. 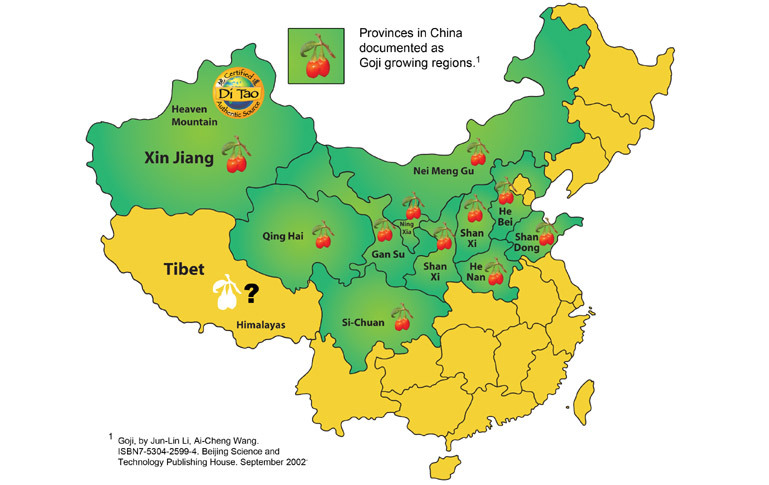 We have color coded every province of China that has been documented as growing Goji, Tibet is not on that list. Even the author who wrote the book Goji, the Himalayan Health Secret that introduced Goji to the West does NOT suggest Himalayan Gojis are attainable in any way. 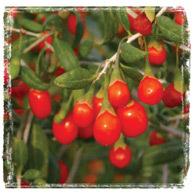 If Tibet does not grow Goji, then where do all the Himalayan Gojis on the market come from? A myth still to be demystified. 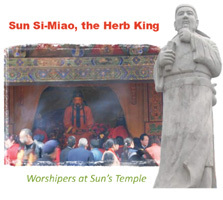 In addition, there is no written historical record of the usage of Goji in Tibet, nor is the tremendous body of scientific research conducted to date on Goji based on a Himalayan sub-species. 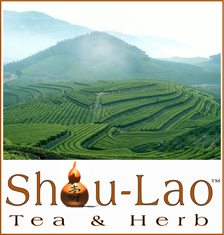 Virtually all research on Goji has used Goji from Heaven Mountain, Xin Jiang or Northern China. If we consume Goji for its tremendous health benefits, then we ought to consume only the same Goji used in this voluminous research. Goji’s health benefits are well documented by numerous research studies conducted across the globe. In China and Tibet the berries are usually eaten raw or made into teas and soups. 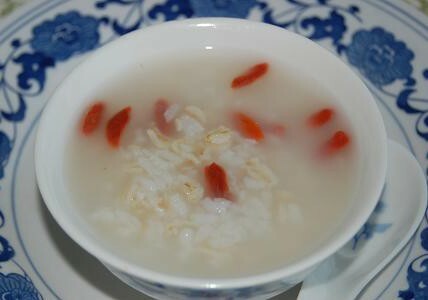 If you look for Asian recipes using the dried berries you will find such things as chicken soup that contain goji berries or a warm hot grain cereal that has goji berries added to it. Asians often make a tea by boiling herbs and the goji fruit in water. If you look at recipes from the U.S. you will find recipes that call for the goji berries to be soaked overnight (or even for 15-20 minutes to soften them) and whipped in a blender in the morning. This “goji puree” is then the base for a smoothie or delicious drink. Smear fish with 1 tbsp of rice wine and a little salt. Add in the wolfberries, button mushrooms, scallion, ginger and hoisin sauce. Boil the stock in a separate medium to large sauce pan. Place the seasoned fish into the sauce pan containing the stock. Add rice wine and salt to season before serving. Soak mushrooms in hot water for about 20 minutes. Strain the liquid and reserve 1 cup. Cut mushrooms into quarters and set aside. Bring water to boil. Put in chicken and pork. Cook until the color changes. Rinse in cold water. Drain. Add the chicken stock to the reserved mushroom liquid in a saucepan and bring to a boil. Add the chicken, pork, mushrooms, and bamboo shoots. Then add the peas and shrimp. Bring to boil again. Season with salt and soy sauce. Add the sesame seed oil. Bring to a boil. Remove to a tureen or bowl. Heat wok and add oil for deep-frying. When oil is ready, prepare the Crispy Rice. Deep-fry until it puffs and turns brown. Drain on paper towels. At the table, slide the sizzling rice into the soup. The rice will make crackling sounds as it meets the hot broth. Rinse 1 cup of long or medium grain rice. In a pot, add 1 1/2 cups water (1 1/4 cups for medium grain rice) to the rice and bring to a boil. Cover and simmer on low heat for 30 minutes. Remove from burner and allow to cool. While rice is cooling, preheat oven to 300 degrees Fahrenheit. Place the rice on a baking sheet, making sure that it is about, but no more than, 1/4-inch thick. Bake the rice for 50 - 55 minutes, until it is dry. Cool and cut into 2-inch squares. Store in a canister until needed. Do not freeze. Goji berries also go very well with coconut chips and soaked dried nuts. People use this combination for home-made snack bars, trail mixes, granola, and other snacks. 1. Soak berries in water for 4 hours or more, overnight is fine. 2. Blend in blender until well blended. Optional: 1/4 cup fresh blackberries, raspberries or blueberries can be added to the puree. You can also add other fresh fruit such as apple, mango and/or banana. 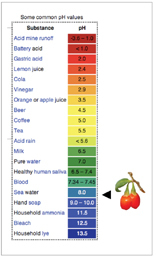 If you use just the goji berries you will have a nice, nutritious goji berry juice. If you add additional fruit you will have a great smoothie. Most goji juice companies utilize berries which are low in carbohydrates and high in antioxidants such as blueberries and raspberries in their concotions. If the above juice is not sweet enough for you or your family you may want to add a little natural, raw honey or raw agave syrup. Another option is to soak the goji berries with dried dates or raisins. this will make the juice darker and sweeter. For those with a sweet tooth, try this recipe and cool down on those hot Summer days. Easy to make too! 1. Combine crystal jelly Konnyaku powder and 35g sugar well and set aside. 2. Combine ice jelly powder and 25g sugar well and set aside. 3. Strain lychees to collect syrup and set aside. 4. Bring water to boil, add in crystal jelly mixture and boil for 3 minutes. Followed by add in ice jelly mixture, stir till boiling before turn off the heat. 5. Add in lychee syrup and lemon juice and mix well. 6. Place wolfberries and lychees into individual glasses, pour cooked mixture and let it cool and solidify before transfering to the refrigerator.